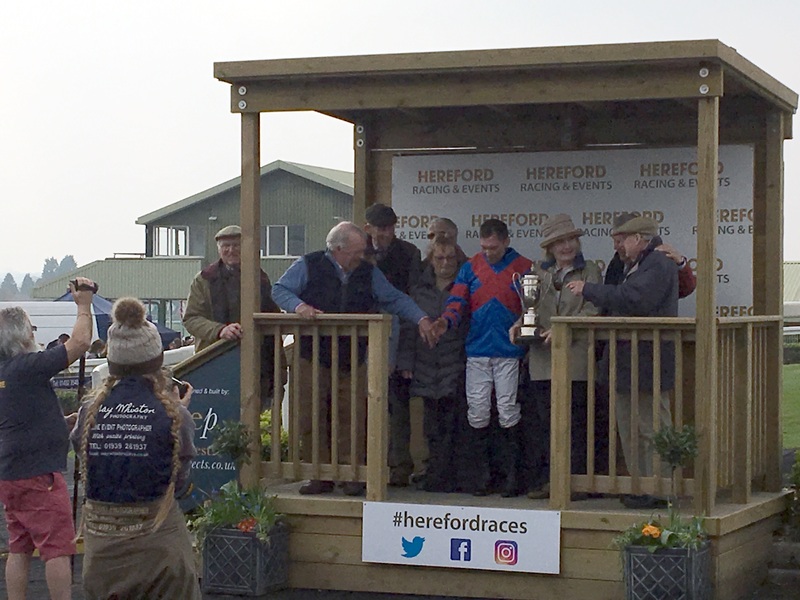 I arrived rather earlier than expected at Hereford giving me plenty of time to stroll around the course looking at the only National Hunt fences cleared for jumping by point to points, writes Peter Wright. I have to say that they were no bigger or firmer than many others I have seen during the season, although they did have to be jumped. I liked the course, and the small rise after the second last bend was telling giving the jockeys something to think about, and finding out one or two horses along the way. As reported elsewhere the racing was excellent with a high class Open attested by the decent odds offered on Now Ben (well done the bookies). The flat races were also rather more competitive in depth than some, although the sight of Don Constable's mare quickening away from two furlongs out was wonderful to behold. He had told me at Sheriff Hutton that he had a decent horse, and he was not lying. I should also add that I thoroughly enjoyed a 1m 4flg pony race, which gave the riders a little more to think about than the flat out quick dashes. However, I also had plenty of time to chat to people and the officials in the Welsh borders. There seemed to be a theme on this particular weekend with both Bob Davies (Lucius) and Bob Champion (Aldaniti) present, and of course Sarah Oliver's (the Fixture Secretary) husband also trained a National Winner (West Tip). Whilst I am indebted to Bob Davies for his advice this year, I also had Lucius in a sweepstake on my first and only trip to Aintree so he is doubly popular in my eyes. Everyone was really friendly and I had a lovely day, but the highlight for me was getting the chance to meet John Willis, the announcer whose dulcet tones you and I have listened to seemingly forever. Indeed he could not remember when he first started but we guesstimated about 40 years ago. 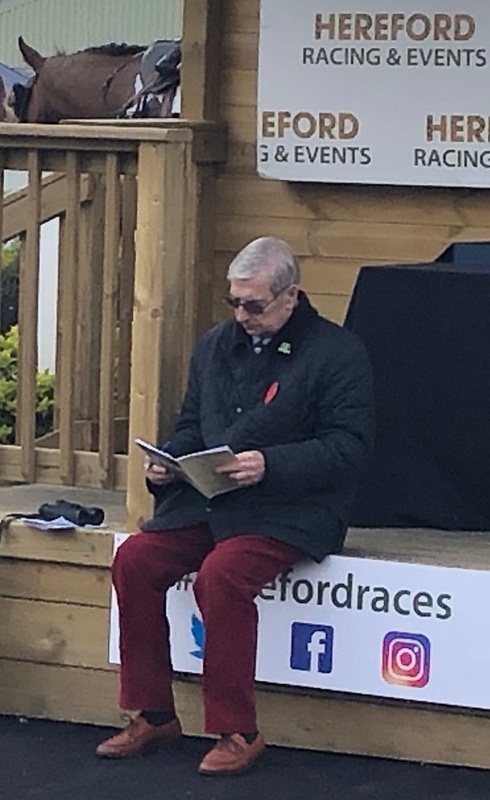 His clear, calm tones, providing the information on time, have been a key element in making pointing a great day out for countless thousands in this part of the world. An excellent day's racing and a short(ish) drive home. It rounded off a super weekend of contrasts. Many thanks to Sarah Oliver and her team.